Sunset is a calm and willing horse that listens very well. He will do whatever you need him to do! He has a comfortable gait that makes him a pleasure to ride. Sunset also makes friends very easily. He is friendly to any of the horses, even if they don't care about him! He may be sweet but he is also extremely smart. He watches you and knows when he can take advantage of you being distracted! After decades of taking people on trail rides, he knows his riders as soon as he sees them! 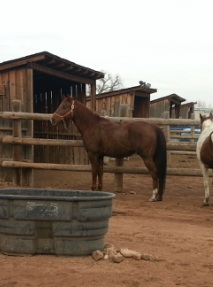 Wrangler is a sorrel color horse. He loves trail rides so much, that he will escape from his pen just to join us on trail. He passes time by eating grass and grooming his girlfriend, Doobie. 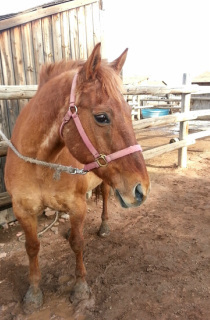 He is a Welsh pony/Quarter horse mix making for an extremely smart and agile horse! Boomer will do anything to go on a trail ride! He never tires of doing his job. Boomer thinks of trail rides as a game and makes it fun in any way possible! He likes to hang out with Wrangler and Skipper, since they're two of the "big guys" in the pasture, but loves Gin because she's pretty and sweet! He is one of the sweetest horses that is always a pleasure to ride. 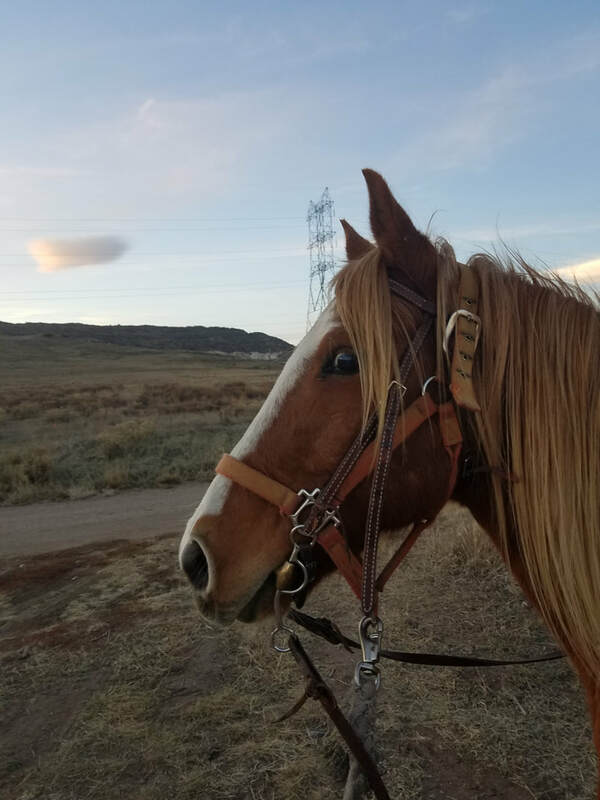 Thunder is a cute pony that loves to lead trail rides! He is still young and isn't used to everything out on trail so we have our lead riders ride him! He is brave but curious and loves to explore. Thunder acts like a dog and will follow you around, lick your hand, want attention, etc. He thinks he is the biggest horse in the pasture when he is actually the smallest. Thunder is a small horse with a huge personality! 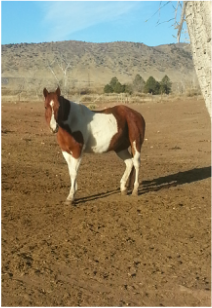 Stiltz is a very sweet paint horse. She loves going out on trail rides and making her rider happy. Stiltz would rather be out on trail then be anywhere else. CC is her dad and Abbey are her half sisters. When she is in the pasture she hangs out with Parker.